Here is photo of a splendid car taken in the 1930’s. It is parked outside a rather nice house with railings. Both the house and the adjacent building still exist in the village but they are hard to recognize. In fact it is “Berry Cottage” just to the left of Berrycroft Stores. It has for some-time been converted into a workshop / store and is now painted white. 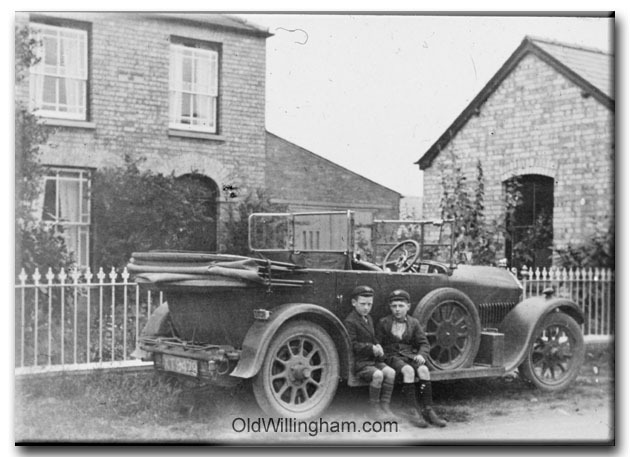 Two lads sitting on the running board are Milford and Roland Jeeps. Milford still lives in the village today.